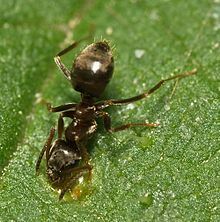 ﻿Ants are a part of the insect family "Formicidae." 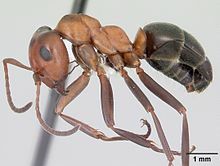 Bees and wasps are also in the same insect family, which is why you see similarities in colony structure between Ants and Bees. 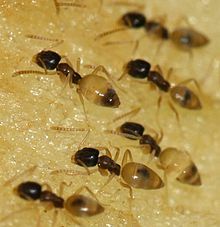 The workers' jobs are to bring back food to the queen and colony; make sure the eggs, larva and queen ant are cared for; and make sure the colony stays clea﻿n. 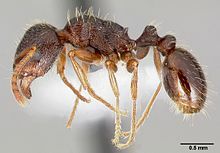 Everyone is familiar with what an adult ant looks like. 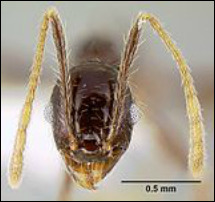 Six legs, little antenna and a strong appetite. 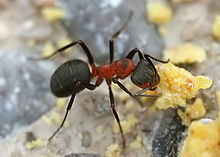 It does not help that most processed foods, and even simple fruit, has sugar in it. 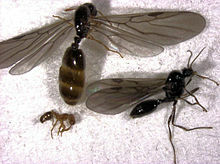 Once one ant gets in your house it will leave a scent trail that screams "FOOD!" 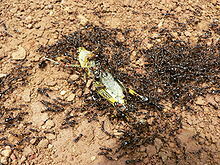 to the rest of its colony. 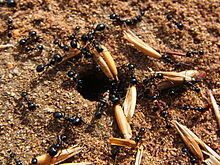 To get rid of ants for good you will need a professional and we would love for RVA Pest Control to be YOUR professional! 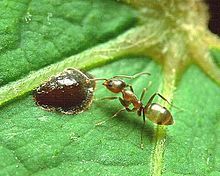 Click here to learn more about Acrobatic Ants!